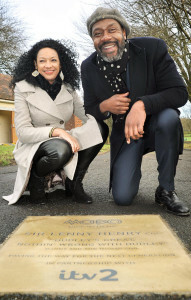 So says the inscription on Sir Lenny Henry’s commemorative MOBO award paving slab in Buffery Park, Dudley. West Midlands. United Kingdom. 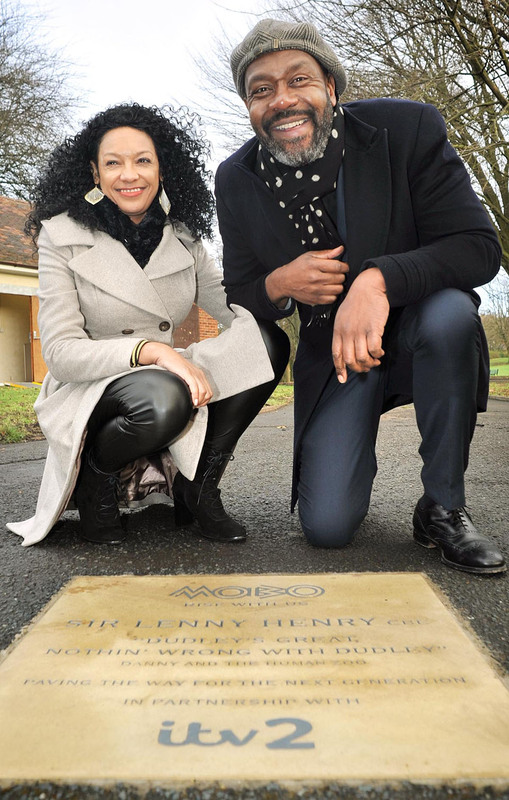 Lenny turned up with friends and family to officially unveil the slab. It was in fact a massively unofficial unveiling, in that the atmosphere was very relaxed and laid back, with jokes and a relatively chaotic running order, presided over by no-one, and Lenny constantly referring to the mayor of Dudley as ‘chap’. 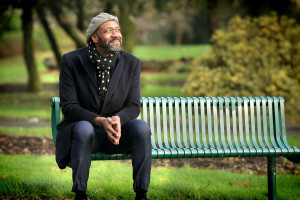 The main thrust of conversations and interviews involved memories of his childhood years and growing up and playing around Buffery Park (his family home was only a few hundred yards away). First snog and cigarette (not necessarily in that order), games of football and cricket, and generally just hanging around (before it became hangin’ out) after school and weekends, before the internet and Wii. I didn’t bring up the subject, because he probably wouldn’t have been interested, but my early teens’ were spent doing the same things (except the cigarette) in the same place. I lived less than half a mile away in the other direction. 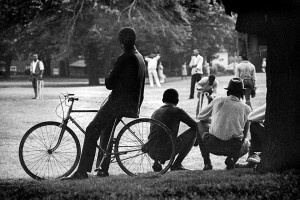 And his mention of cricket in the evenings on the park, played by the local West Indian community, reminded me of a picture I took round about 1971, on my way back from work as a staff photographer with the Dudley Herald, as I walked through the park to my home. Is there a Henry in there somewhere? Shot on a cheap telephoto lens bought at Dixons, I hopelessly under-exposed the picture, and never managed to get a decent print from my darkroom days. Only when I scanned and digitized the image, forty years later, was I able to get something out of it.